Home » Industry Days 2018: a success story. Industry Days 2018: a success story. Between May 16 and 18, 2018 , the Days of Industry at HUNGEXPO reached a great success in presenting almost all sectors of industry. 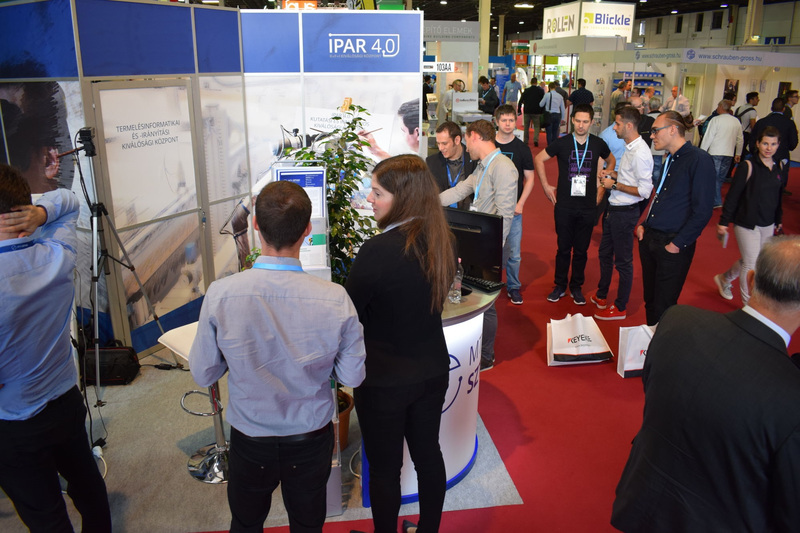 Exhibitors and visitors could access first-hand information about new professions and cuttting-edge technologies of the Industry 4.0. Next to this, participants could take advantage of the synergy possiblities between industries. 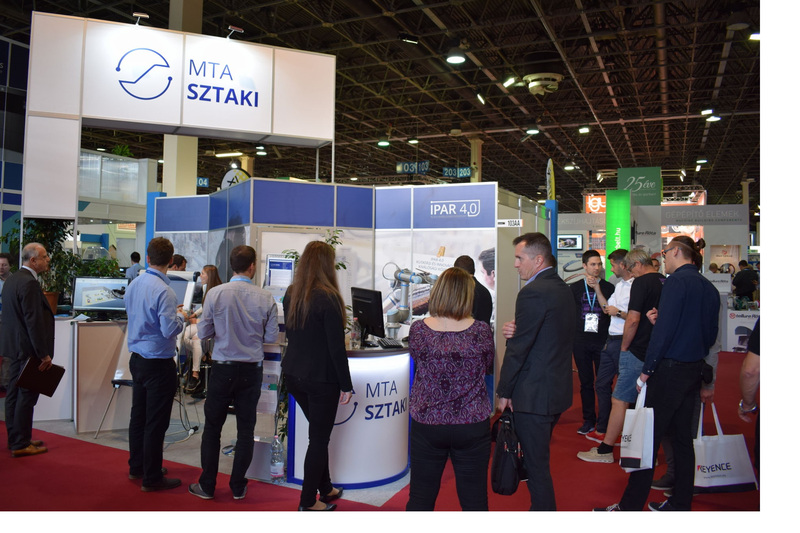 The Engineering and Business Intelligence Research Laboratory of MTA SZTAKI represented our Institute with two presentations and demos. First, they introduced the possibilities of innovative human-robot collaboration: through gestures and following the man's movement, they implemented a new version of human-robot collaboration. The safety of the cobots can still be finetuned today , says Richárd Beregi , researcher at MTA SZTAKI. In order for an accident to be excluded, three conditions must be met in an automated working environment. The obstacle detecting robot should fit completely under 20 milliseconds. In addition, both the workbench and the work arm should be mobile. Because of this, the cobot workforce is so expensive that it is not yet very much worth investing in cooperating robots. The interest in our interactive factory layout simulation was again high. New enthusiasts and our old industrial partners have also been keen on trying out the possibilities offered by our design board. Instead of our task, we were given the chance to take part in university students' competitions, so they could really experience the usefulness of industrial digitization. Other references and links of interest (in Hungarian, only): link1, link2, link3. This project has received funding from the European Union’s Horizon 2020 research and innovation programme under grant agreement No 691829. Copyright © 2019, EXCELL project.